The eighth County Clean Up will take place on Saturday, 13 April and a call has gone out to individuals and communities across the county to get involved in the annual litter collection effort. 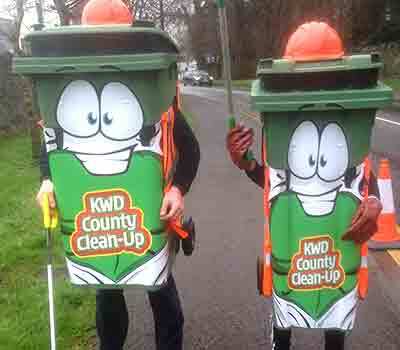 Last year, some 5,500 volunteers were out and about on the day with the support of Kerry County Council and KWD Recycling as well as local organisations like Kerry GAA, Kerry IFA, and Kerry ICMSA, each of which are joining in the effort again this year. Colm ‘The Gooch’ Cooper will also be lending a hand on the day and is helping to promote the initiative. The Cathaoirleach of Kerry County Council, Cllr Norma Foley, launched the event at Ballygarry House Hotel in Tralee on Tuesday evening to coincide with a seminar for Tidy Towns groups in the county: ‘The growing success of the County Clean Up, since it was established in 2012, is evident in the huge voluntary effort all over Kerry in previous years and the volume of litter retrieved over the years is indicative of the larger numbers taking part,’ said Cllr Foley. This year let’s again work together to get even more individuals, families, schools, sports clubs and community groups out on the day to help clean up the county. We are so reliant on our reputation for a clean and litter-free environment in Kerry and through this effort, everyone can play a role in that regard,’ she said. 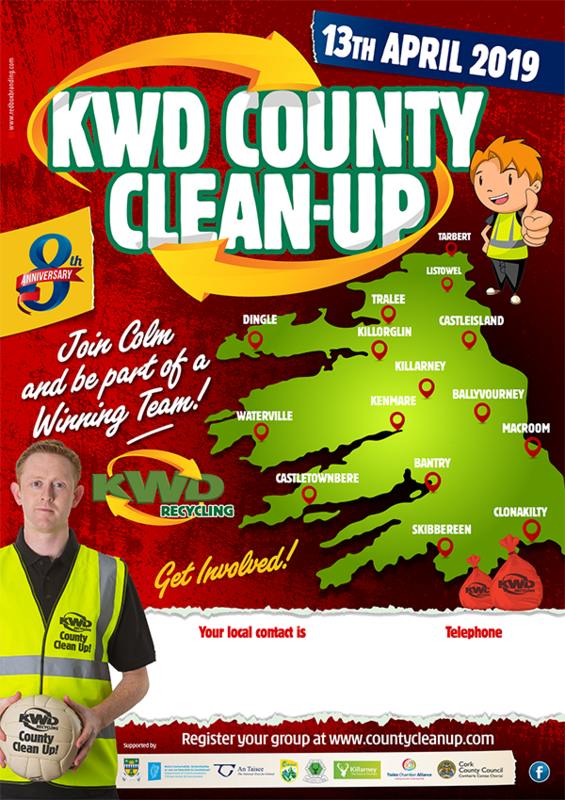 KWD Recycling will again provide clean-up packs to groups which register at www.countycleanup.com or or e-mail countycleanup@kwd.ie and collection points will be designated around the county to ensure that all litter gathered is disposed of. 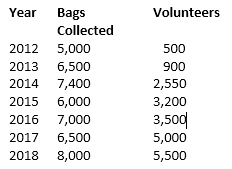 A record 5,500 volunteers took part in the Kerry County Clean Up in April 2018 which saw 8,000 bags of litter collected, the highest ever tally in the seven years in which the environmental and community initiative has existed. 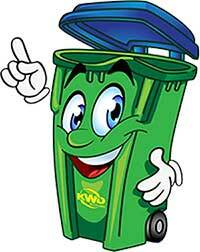 KWD Recycling and Kerry County Council completed an analysis of the litter collected which revealed that single-use drinking containers were the most common item of litter retrieved from locations across the county, followed by sweet and chocolate wrappers. 2012 began a huge initiative by a number of local groups and businesses in Kerry to clean up our County to make Kerry the first to have a “County Clean Up” of all our roadways throughout the County. So on one day in April, which is National Spring clean Month, everybody involved picks all the litter off our main High ways and by ways. This has proved a great success and has gone from strength to strength each year . There has been a greater amount of volunteers each year cleaning up more roads and keeping our environment cleaner for locals, and visitors alike to enjoy and return to, whilst also creating more awareness of littering going forward. The Kerry “County Clean-up” which is facilitated by KWD Recycling are asking local resident associations, youth and sporting groups, Tidy town committees, businesses, families or simply a few friends to get together along major routes through Kerry on one day and collect all the litter off our roads keeping them clean. It’s easy to get involved, register your group on this site to order your free “County Clean Up Pack” which includes Reflective jackets, Refuse sacks, event posters and information on how to organise your group. You simply let us know which road you are picking litter from, we will then deliver sacks and reflective jackets to you and on the day you can leave the full sacks in a predesignated collection point which will be arranged with KWD.